Yes, please renew my subscription to St. Anthony Messenger! I understand that I will receive 12 issues of this award-winning magazine per year. 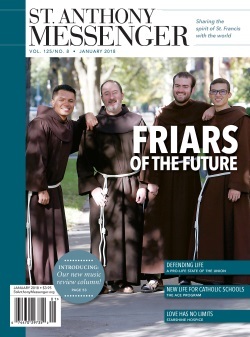 The digital-only edition of St. Anthony Messenger is available for your tablet, smartphone, or computer. Enter your account number (found on the mailing label) and zip code or your email address and zipcode below.